The films of the late Russian filmmaker Andrei Tarkovsky have been widely acclaimed in international circles for over thirty years. 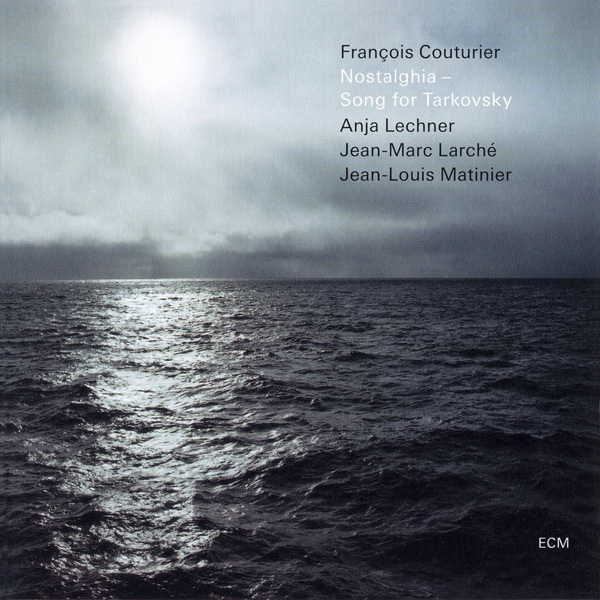 Pianist François Couturier has taken as inspiration characters, themes and specific actors from many of Tarkovsky's best known works for twelve tracks of spacious sound poems created late last year as an homage to the empathic icon. In a similar fashion to Jan Garbarek's All Those Born with Wings and Arvo Pärt's efforts, the challenge of the composer is to capture the essence of mood and theme and transform them into a meaningful juxtaposition of melody and cadence. Couturier's best conceived ideas draw from Tarkovsky's best known imagery as heard on "Crépusculaire (for Sven Nykvist)" (who was one of Ingmar Bergman's actors in Winter Light) and "Stalker (for Edouard Artemiev)" (who composed accompaniment for Tarkovsky's three best known works). The former piece is a moody excursion into a fog of forlorn mystery with Anja Lechner's cello embodying the main theme of the piece. The latter track recreates tension and release well with Jean Marc Larché imparting a serene soprano sax line. Overall the subtle performances of the small ensemble carefully extract empathy for the unique subject matter rather than just inform.